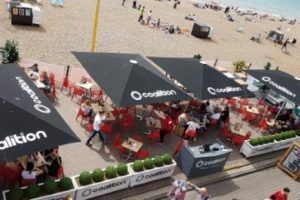 Located right on the seafront under the railway arches, Coalition is one of Brighton’s most popular nightclubs. 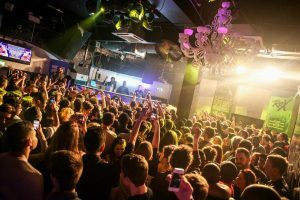 It’s a great gig venue and plays host to many top DJ’s. The music ranges from house, to dance and pop and Coalition is always a good choice if you have a group of friends with a range of music tastes. In the summer there is a large area at the front of the club filled with tables and chairs where you can sit and enjoy a pint with a bite to eat and watch some live music. 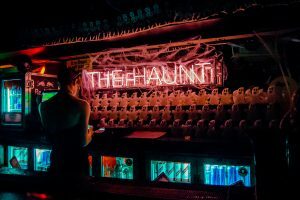 Located around the back of Brightons coach station, The Haunt is tucked away and not obvious unless you know it’s there. It’s a large venue with a big stage area which is very popular for dancing on. The club itself is spread across two floors and at weekends it hosts extremely popular 80’s and 90’s pop nights. The 80’s night ‘Back to 1985’ is on every Saturday and is guaranteed fun, with lots of people really getting into the spirit with shoulder pads and big hair. Great location opposite the beach where you can enjoy the bar and diner by day whilst sitting outside on the terrace. 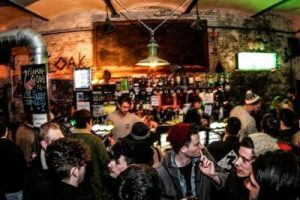 By night, Volks is home to underground clubbing with no pretensions, hosting a range of club nights live gigs. 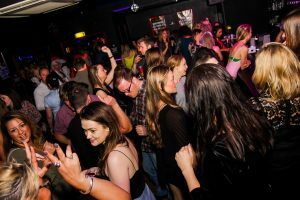 It’s a solid Brighton institution, leading the way with an eclectic and alternative run of club nights and live music. If you want a jumping, party vibe, head down the to the seafront. The Green Door is tucked away under the railway arches near Brighton station. It is a little gem of a venue and a place that not a lot of people knew about for ages. It has gained massive popularity since it opened and at weekends there are always massive queues. Entry is free and the venue plays an eclectic mix of music from 60’s retro music to 90’s pop, house and drum and base. 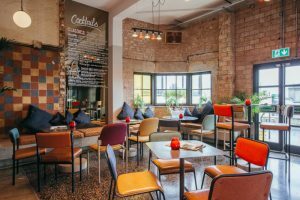 The bar staff are very friendly and the venue has a very Brighton arty feel, attracting a very friendly and chilled out crowd. 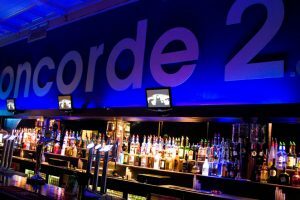 Concorde 2 is Brighton’s biggest live music venue, situated on Maderia Drive underneath the cliffs. It is a bit of walk to get there so check the website beforehand. Many events are ticketed so you can order online. The venue was originally a Victorian tea room and has huge windows and high ceilings with a very long bar. It has a large stage area and plays host to an array of live gigs, events and DJ nights. 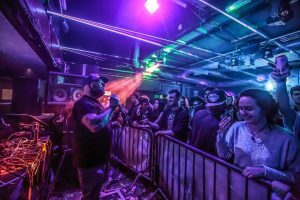 Attracting a slightly older crowd, this club offers a night of unpretentious fun. Covering a whole host of music genres including Soul, Funk, Motown, Jazz, Old School Breaks, Hip Hop, and all things funky and quirky from the 60’s to the noughties. You’ll leave here having had a good night with no hassle. 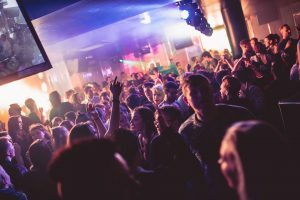 Patterns is vibrant club featuring an eclectic range of music from resident DJ’s and regular live bands to indie rock, house, electro and hard house. The venue is spread across two floors. The downstairs is quite dark and is more for hard-core clubbing. The upstairs is bright and open, with more mellow music playing, such as old skool hip hop, funk and pop. The upstairs leads on to a lovely outside terrace which is very popular in the summer. The venue also offers a superb cocktail list. 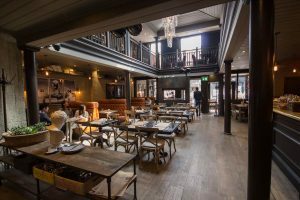 Shooshh Brighton, originally the Honey Club, is the city’s first real VIP super club and has undergone a £1 million transformation. The venue is very glamorous, being decked out in beautiful silver and black, and the VIP area offers waitress service. The music is varied and mainly consists of dance and pop. It is a very girly place so if you love dressing up and looking glam then this is the place for you. Casablanca has been a Brighton institution for many years, attracting a varied crowd of all ages. The venue itself is a bit shabby but very friendly and it is always a popular venue with Brighton locals. During the week a lot of budding musicians showcase their talents here. 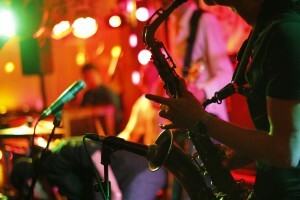 The music is varied from classic jazz, pop, funk and soul, and pop so there is usually something for everyone. At the weekend they have resident bands that play well known cover music, catering to all tastes and getting everyone in the party mood. The South coast’s leading gay nightclub will give you nothing more than an excellent hassle free night out regardless of your sexuality. Spread over 2 floors with pop music and house music there is a floor for all persuasions. If you’re attitude free and looking for a fun night out then this is the place for you.